Cough and cold season is here. 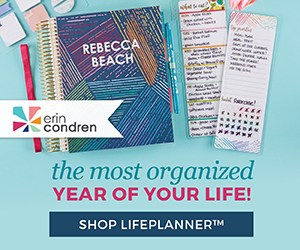 When those first few symptoms start to hit you, what "Feel Better Formula" do you reach for? I personally need something that works fast. No one has time to be sick. So the sooner you start to feel well again, the better! 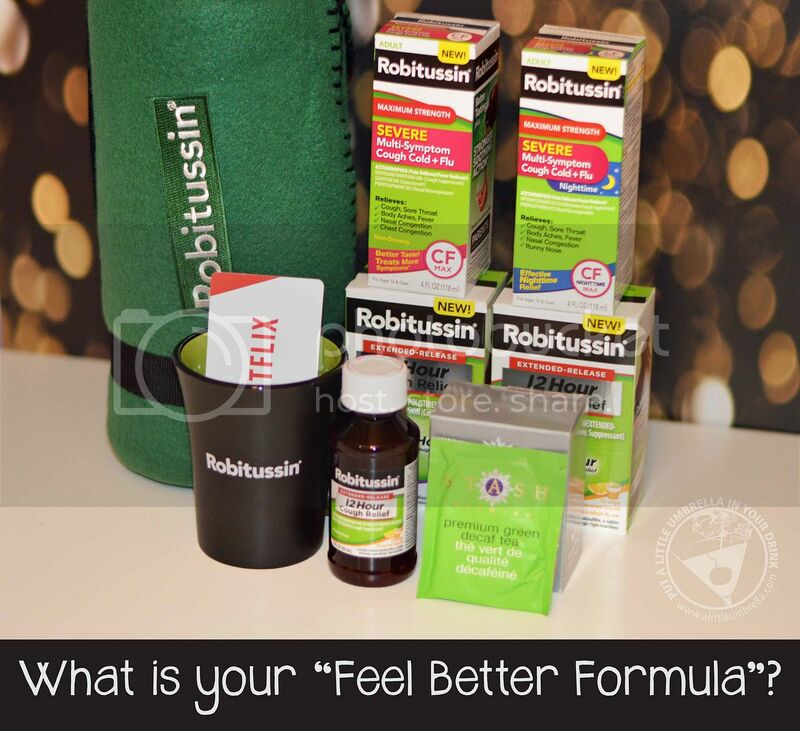 Robitussin® + whatever you need = your feel better formula. My personal "Feel Better Formula" includes Robitussin, hot tea, a warm blanket, and as many movies as I need. There is nothing like getting your mind off of how you feel with some great movies. This time of year I would choose holiday movies. Otherwise, I usually stick to romantic comedies. 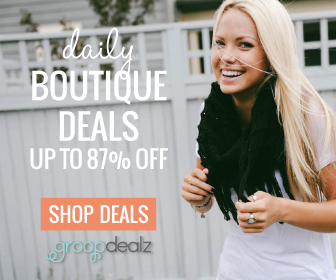 When it comes to choosing a Robitussin product, there are several options for you. Luckily Robitussin 12 Hour Cough Relief and Robitussin Maximum Strength Severe Multi-Symptom Cough, Cold & Flu are available to help you tackle whatever this cold and flu season throws your way. It is important to remember to always read and keep the cartons for complete warnings and dosing information on Robitussin products and to use as directed. 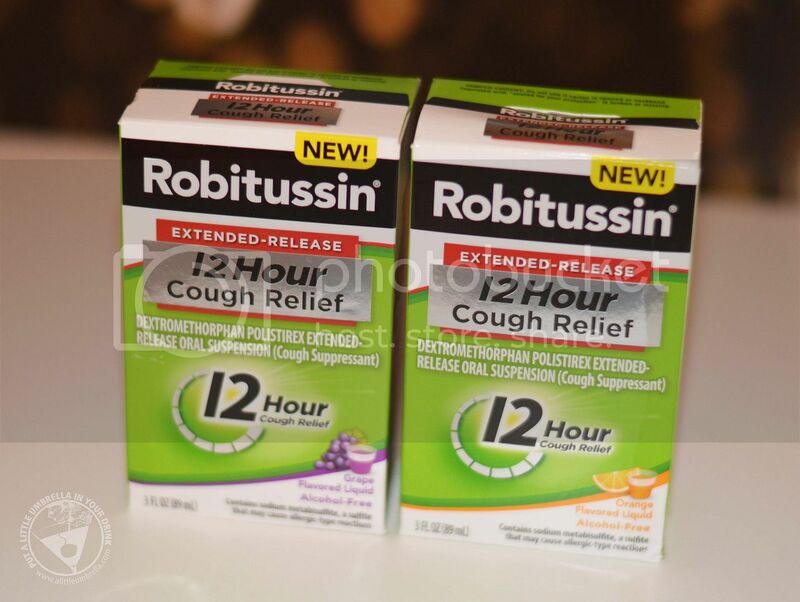 One dose of Robitussin 12 Hour Cough Relief provides up to 12 hours of cough relief, delivering long-lasting cough control and all day and all night. Available in great-tasting orange and grape flavors, the cough suppressant delivers fast, powerful relief to control your cough for up to 12 hours. 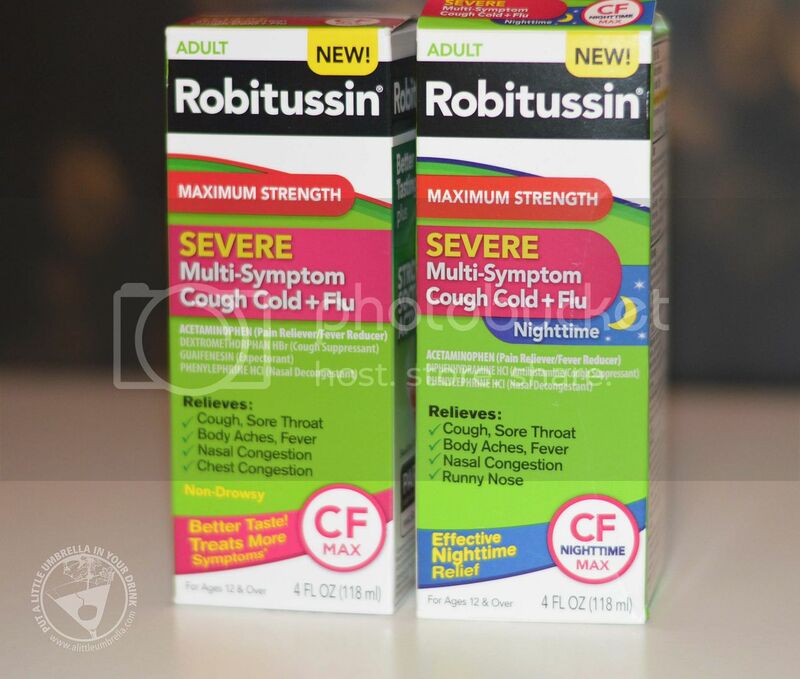 Robitussin Maximum Strength Severe Multi Symptom Cough, Cold & Flu products offer powerful relief from your worst cough, cold, & flu symptoms and come in both daytime and nighttime formulas. It could be a sneeze or a tickle in your throat. It’s never a good sign when those first symptoms of a cough, cold or flu hit. You can pretend you’re not sick and hope for the best, or take the first steps to feeling better. 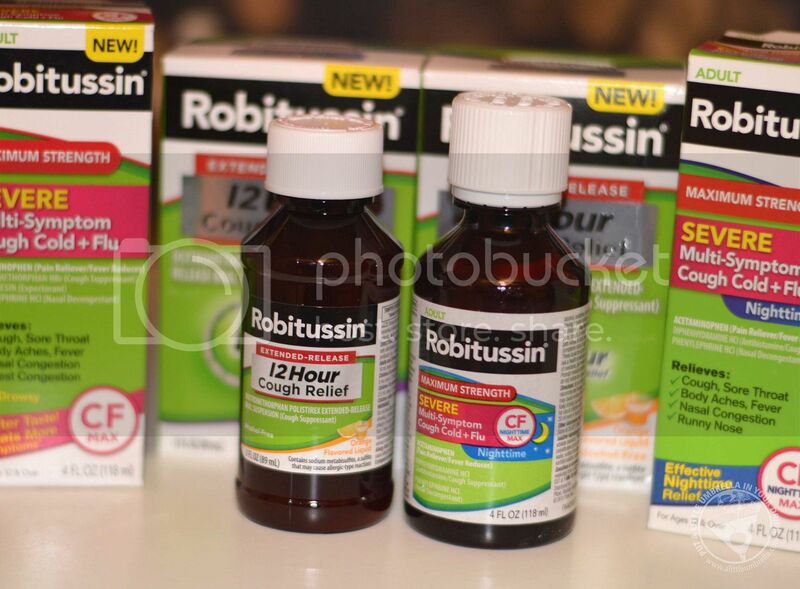 While Robitussin is there to tackle the worst cough and cold symptoms, it is only one part of the equation. Whether you snuggle up with warm blanket, sip tea to soothe your aches and pains, or fall asleep to your favorite classic movie on TV, I want to hear how you tackle a sick day. What is your “Feel Better Formula”? 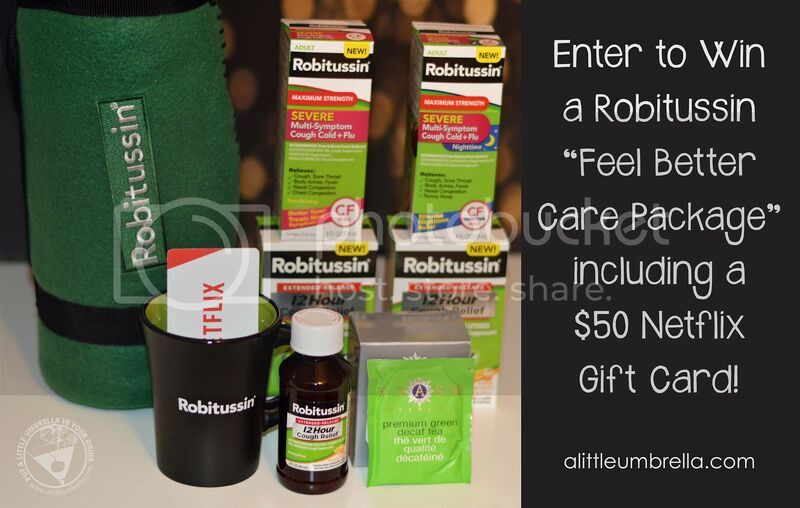 Tell me and you could win a Robitussin® “Feel Better Care Package”! 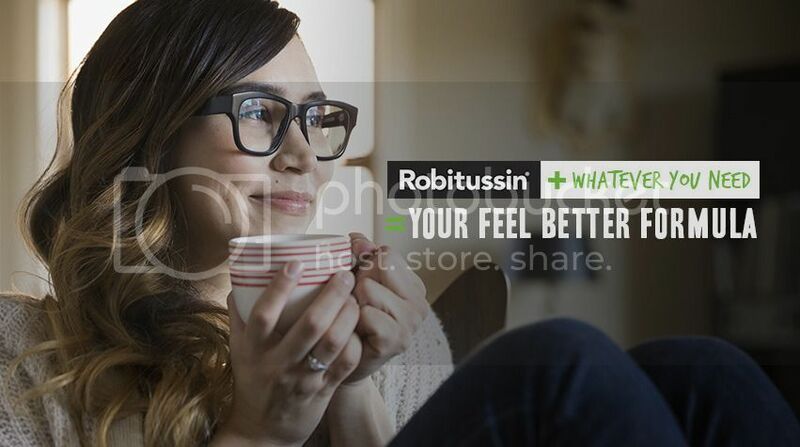 Connect :: Visit robitussin.com to learn more about getting through cold and cough season with the help of Robitussin. You can also find Robitussin on Twitter and Facebook. 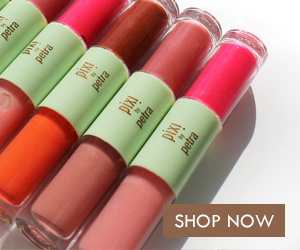 How To Enter :: Just use the simple form below to enter. Open to US only. Must be 18+ to enter. 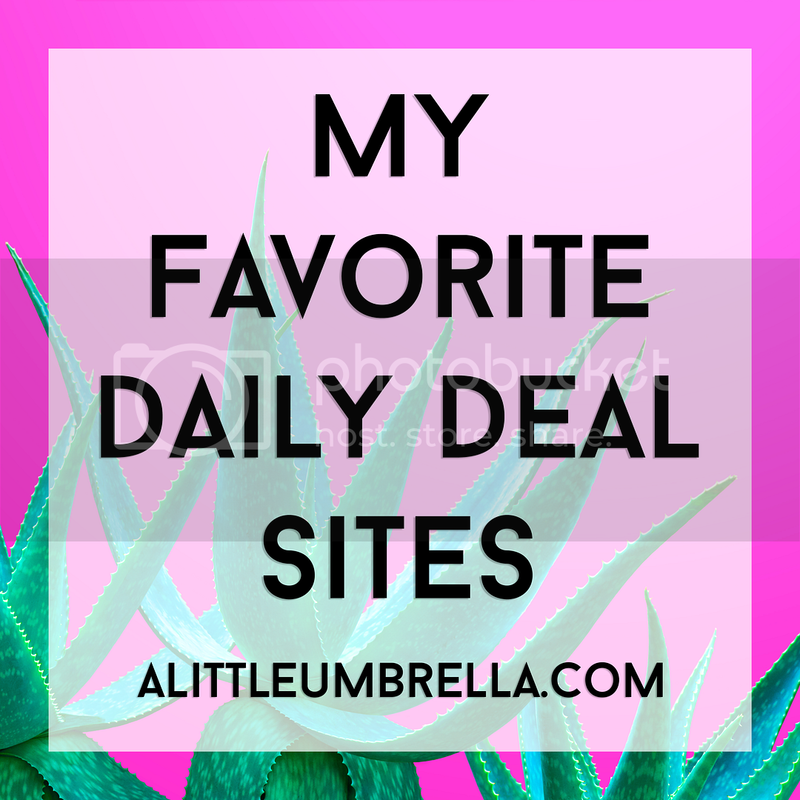 Giveaway closes on December 29, 2015 at 11:59 pm EST. Only one person per household/IP address may enter. Good luck!